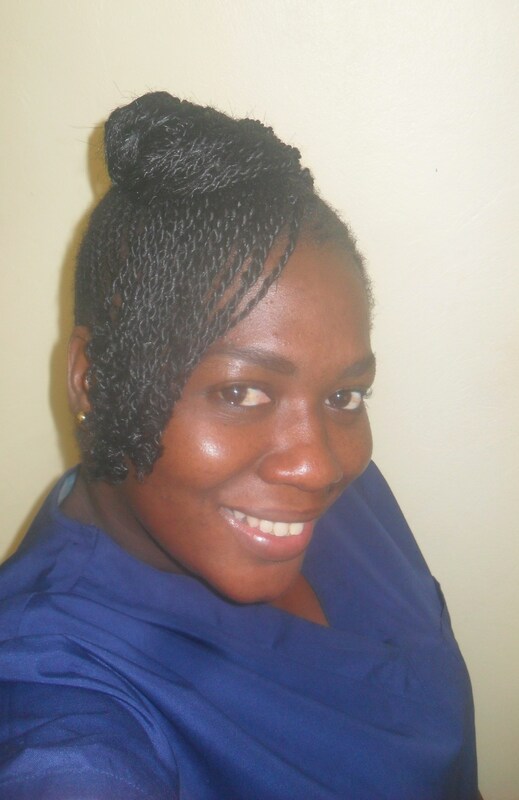 My name is Joanna Pascal and I’m from the beautiful spice island Grenada. Well I am simple lady who loves the Lord and I enjoy spending time with my family. I am a medical student with a passion for helping others. Naturalista, health enthusiast, motivator, avid reader, knowledge seeker. 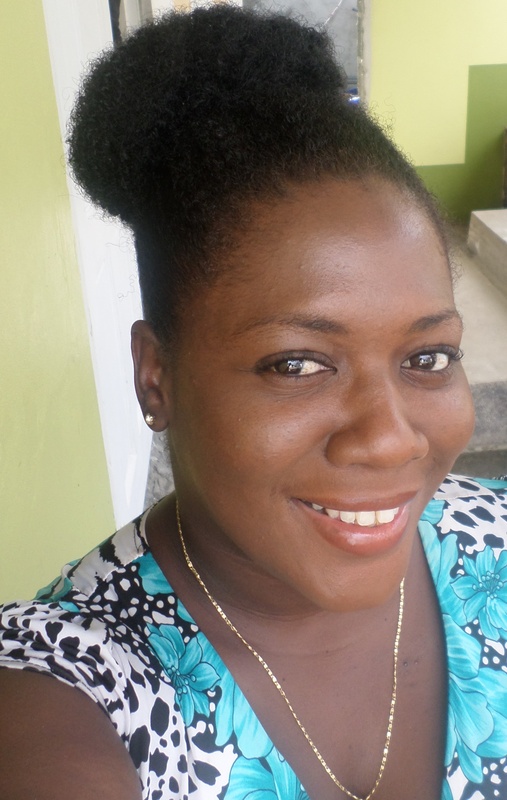 I am the founder of SpicyNaturals, the first natural hair community in Grenada. I have worn my hair natural for most of my life. I have always loved my natural hair so returning to it was an easy decision. 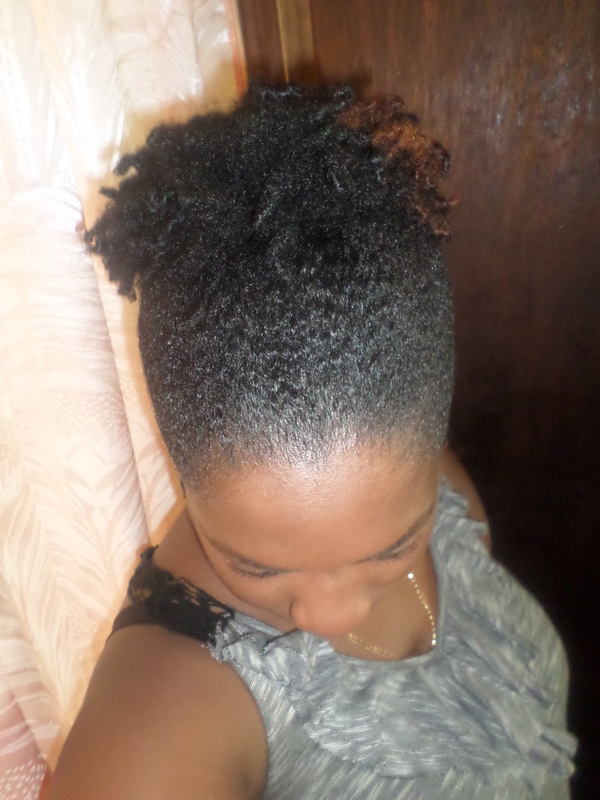 However, I have been natural now for 3 years and 4 months. What really pushed me to return natural was the fact that my hair was growing long but was not as full and healthy as it was in the past. So I started cutting my hair every time I went to the salon until it was neck length. Then finally after travelling, not trusting any one with my hair, my hairdresser back home passing away, I decided to transition and take care of my hair myself. When did you first realise that you love your natural hair texture? What exactly do you love about it? Describe your hair. I’ve always loved my natural hair texture. 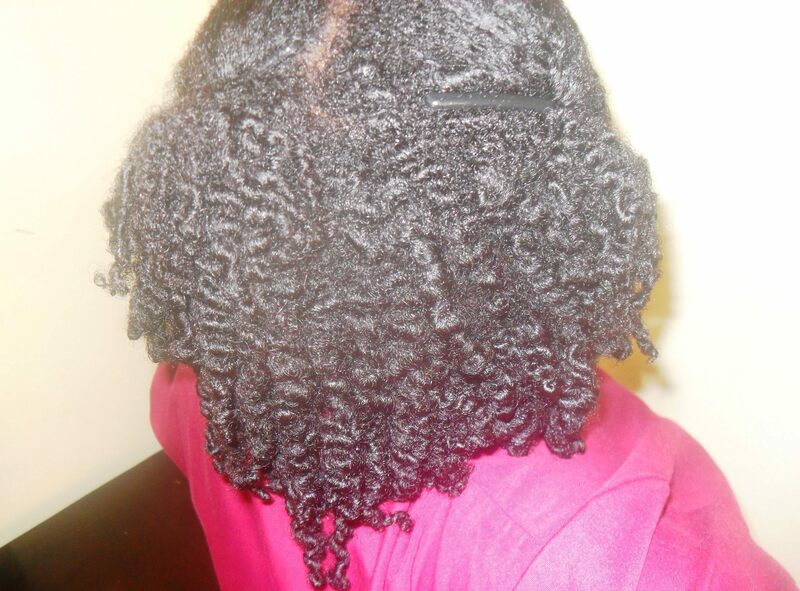 I love the softness, manageability, kinks, curls and shrinkage. I experience a lot of shrinkage and so I have a love hate relationship with that. What is your hair regime? What do you do to keep it healthy and to retain length? My hair regime is pretty simple. The pre-poo is a major part of my hair regimen. I do it before co-washes and shampoos. Now basically I pre-poo, co-wash and do one of my DIY treatments or rinses every week. I shampoo 1-2 times a month. On the day I shampoo, I do a deep conditioning treatment as well. Protein treatment once a month. Ayurvedic powders such as henna once or twice a year. Moisturizing my hair is important so I moisturize on wash days using my Giovanni leave in conditioner, followed by my SpicyNaturals hair oil and shea avocado hair butter. Refresh my hair with my DIY hair mist every 1-2 days. Scalp massages once or twice a week if I remember. My main products are Giovanni Tea tree shampoo, Giovanni smooth as silk conditioner, Giovanni direct leave in conditioner, SpicyNaturals Tropical Twist Hair Oil, SpicyNaturals Shea Avocado Hair butter, Shea Mositure Curl Enhancing Smoothie, Sarenzo Purple Passion Twisting Cream, Eco Style Gel and DIY treatments. I have had mostly pleasant reactions from family, friends and colleagues. I actually have no recollection of any negative reactions or opposition. Twist outs are my go-to hairstyle. 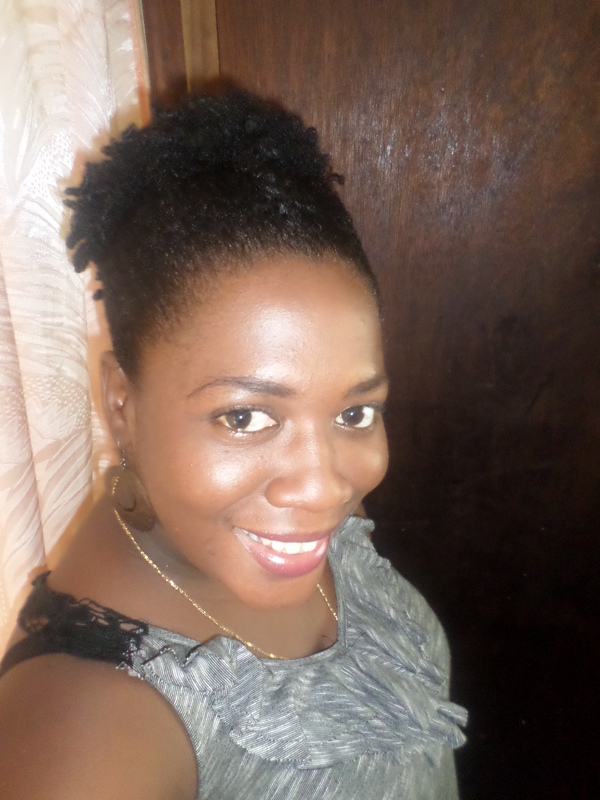 My hair goal is simple – healthy lengthy hair. I would actually love to reach mid-back to waist length. Returning natural is the way to go, I definitely endorse it. It is a great experience and can be life changing. It sure has been for me. 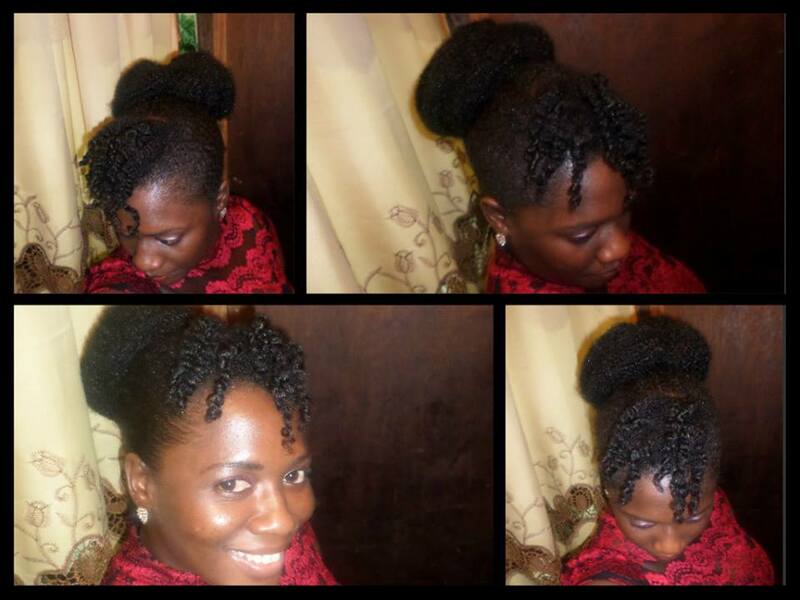 Going natural gives the best of both worlds, versatility without having to sacrifice chemically altering you hair. However, I am aware that it can be difficult at times, discouraging even but having a good support system can make the process much smoother. The key is to have a few naturals and transitioners who you can go to when you need encouragement. Find naturals or transitioners who are at about the same point in their hair journey as you are, and also others who are at your ultimate hair goal so you have something to look forward to. 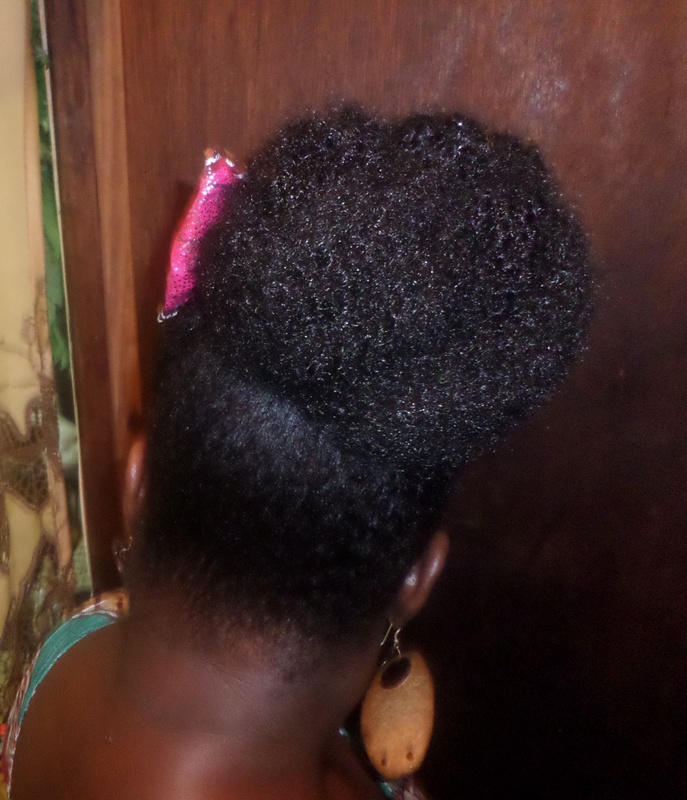 The biggest lesson would be to embrace your natural hair, every aspect of it. Realise that everyone’s journey is unique, it is important to do what works for you. Learn your hair, experiment with it and feel free to be different in your approach. While there may be general guidelines it is important to not get too bugged down and make this journey a burden. What is your favourite life lesson? In spite of situations and circumstances God is in the midst of it all and He is faithful to see me through if I just trust in Him and have faith in His promises. Thanks much indeed it was a pleasure. Great having you as a guest on the site Joanna!